With the rapid development of optical communication, there are more and more XFP transceivers on the market. The users are not only consider the stability and reliability of the XFP transceiver, but also the price and quality and whether to meet the requirements of the equipment and other aspects. However, many people can’t identify the quality of the XFP transceiver is good or bad, so suffer losses. Fiberland has the responsibility to maintain the benign development of the optical communication industry, also have the obligation to guide the customers choose the right product. Following will share 6 strategies for selecting XFP transceiver, don't worry about can not choose the suitable XFP transceiver. Strategy 1. Identify new XFP transceiver and used XFP transceiver. ※ The price of original XFP transceiver is very expensive. Although the price of used XFP transceiver is low, it will happen some issues after six months. The reason is unstable optical power and the decline in the optical sensitivity etc. ※ Use the Optical Power Meter to check the output power whether meet the specification. If the difference is too large, it maybe the used XFP transceiver. Strategy 2. Select the appropriate type of XFP transceiver as required . The types of optical connector: FC, SC, ST, LC, MU and MTRJ. The XFP transceiver has a different interface, the most common is LC, then is SC, this needs to be determined according to the actual needs. Strategy 3. See the compatibility between the XFP transceiver and device. Users should pay attention to: It will be indicated that the product can be used in what brand of equipment in the product description, should also confirm with the seller. 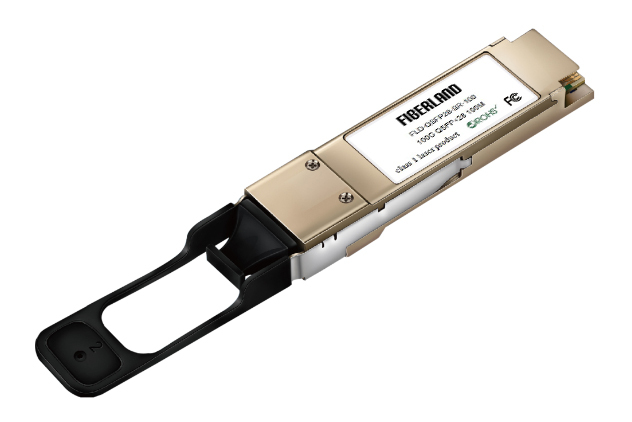 In order to ensure that customers can buy the XFP transceiver with good performance, Fiberland will conduct a variety of tests for all compatible XFP transceivers before shipment, including Material testing, Product parameter testing, Distance testing, Switch testing and Aging testing, to guarantee its compatibility and operability. Strategy 4. Consider the temperature adaptability of the XFP transceiver. The working environment of the XFP transceiver is in the engine room or switch, and the change of temperature will affect the optical power and the sensitivity of the XFP transceiver. The temperature range of the common XFP transceiver is 0°C~70°C, while the industrial XFP transceiver is -40°C~85°C. Fiberland will guarantee the the stability of the industrial products from the requirement of the hardware, Physical cooling and Temperature compensation software. Strategy 5. Consider whether the parameters of the XFP transceiver meet the requirements of the equipment. The parameters of the XFP transceiver that need to be considered are: Central wavelength, transmission distance and transmission rate, etc..
※ 1550nm (SM, single-mode, small loss in transmission process but large dispersion, generally used for long distance transmission over 40KM, the most distant direct transmission is 120KM). Strategy 6. Judging according to the service life of XFP transceiver. The used XFP transceiver will appear different degrees of problems after using se more than six months, less than one year. It is best to choose a regular, quality control capacity of the manufacturers to cooperate when selecting the XFP transceiver. So as not to cause huge economic losses to you and your company. Fiberland can guarantee that all the XFP transceivers we supply are brand-new and enjoy three years of quality assurance services. If non-human damage performance failure occurred within the warranty period, we can provide you a direct replacement to solve your worries. With these 6 essential strategies, like having a pair of piercing eye,is no longer difficult to find a suitable XFP transceiver. Fiberland have been devoted to provide our customers XFP transceivers with high performance. We believe that we can become the leading supplier of XFP transceiver in the future.